I had the great honor and opportunity to listen to Minister Lee Yi Shyan, the State Minister of Trade and Industry, in charge of Entrepreneurship, Singapore talk about Singapore's strategy on entrepreneurship development. 1. How can government be a part of entrepreneurship (big question he was faced with)? 2. Ten percent (10%) of all businesses in Singapore are small businesses. 3. 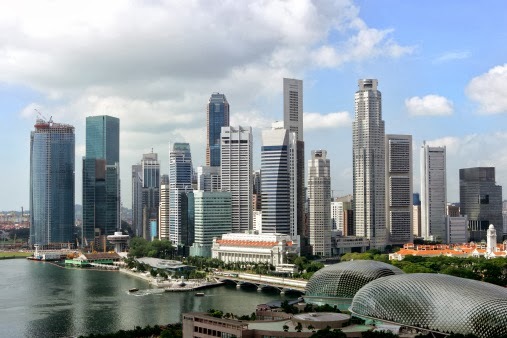 World Bank named Singapore the easiest place to do business. 4. Businesses in Singapore can no longer compete on the basis of low-cost pricing. 5. Projected growth for Singapore is 2-5 percent. 6. After a recession year, Singapore always bounces back. 7. 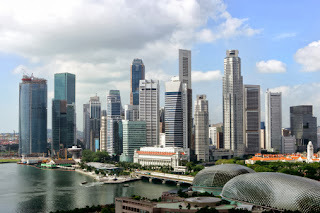 Singapore involves the private sector to encourage and develop entrepreneurship. 8. They set up structures and the environment for entrepreneurship to thrive. 9. They also set up an action committee for entrepreneurs. 10. They set up a PRO enterprise panel to cut red tape and reduce regulatory burden; they seek and act on suggestions by the public. 11. Private equity platform; access to private equity financing (for those companies with high growth potential); micro-loan program -- up to $5 million dollars. 12. State Minister gave an analogy of how a tree grows in 10 years whereas a person takes a century. 13. Will check into his comment about a BlueSKY Festival which encourages SMBs to try out entrepreneurship and reach for their dreams. 14. Has a YES! School which helps schools develop entrepreneurship programs (ten percent of Singapore's schools reach 1,000 students). 15. Eighty-four percent (84%) of people would NOT give up business for better job! 16. There were 50,000 start-ups in 2009. 17. Launched a IES (International Enterprise Singapore) program. 18. Considered most innovative nation according to International Innovation Index. 19. Moving ahead: Innovators, Entrepreneurs, Scientists and Venture Capitalists = dollars + knowledge + market connections. 20. They participated in Global Entrepreneurship Week (this week) with 40 different programs. Based on Minister Lee Yi Shyan's comments along with his high spirit, it is easy to understand why Singapore is flourishing with entrepreneurs!